Dr. Song Keying is a highly regarded China Board Certified Surgeon with extensive knowledge and clinical experience in General Surgery and the Founder of Yosemite Clinic. Dr. Song specializes in Minimally Invasive and General Surgeries for the treatment of Thyroid, Breast, Varicose Veins and other common diseases requiring surgical intervention. Dr. Song completed his post-doctoral fellowship at Fudan University's Cancer Hospital in Shanghai, China and was later awarded a fellowship in surgical oncology at Mount Sinai Hospital in New York, USA. 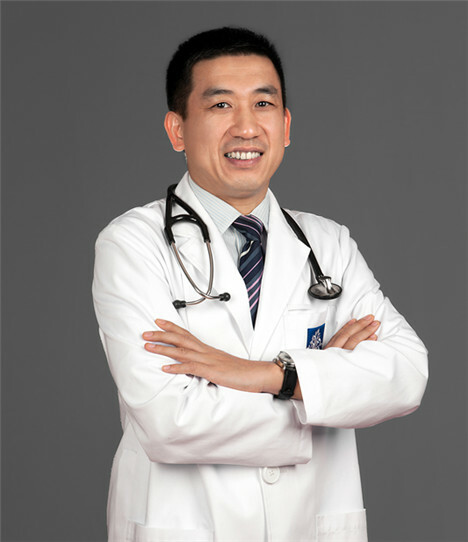 Dr. Song has practiced at a number of prestigious medical centers in China, including Shanghai United Family Hospital where he was a Senior Consultant Surgeon; Worldpath Clinic International in Shanghai, China, where he was Chief Medical Officer as well as Surgery Department Chair; Shanghai Jiaotong University-affiliated Shanghai First People's Hospital where he was Vice-Chief Surgeon and a Medical Postgraduate Professor. Dr. Song was mentored by nationally-known surgeon Professor Lee Zhaoting. He is well-known among Shanghai Expats and within the premium healthcare community in Shanghai. Dr. Song's Personal Slogan is: "Create a Revolutionary Medical Entity; Be an Extraordinary Surgeon. "